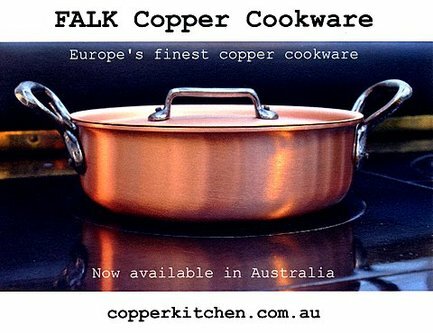 From this page FALK copper cookware buyers, and those who want to be, can access important information about buying FALK copper from Copper Kitchen and about caring for your precious copper pots and pans. If you can't find the answers you want or just want to talk to someone who knows, contact us at Copper Kitchen. We love to hear from you. Or have a look at what some of our happy FALK copper customers have to say about their buying experience or about their much loved copper pots and pans (see Copper Customers page).